Three main mealtimes traditionally exist in Peru: Desayuno (breakfast), almuerzo (lunch), and cena (supper or dinner). A large and lengthy lunch serves as the main meal of the day, a trait that Peru shares with Spain (where lunch is known as la comida rather than almuerzo). Breakfasts are normally small and simple, and dinner is rarely as substantial as lunch unless dining out at a restaurant. Breakfast, or desayuno, is normally eaten between 7:00 am and 9:00 am. This is the standard two-hour window for serving breakfast in hostels and hotels (some may start earlier or finish later), so don’t sleep too late if you want your free meal. Breakfast is a simple meal in many Peruvian households. Common breakfast foods include bread and butter (often with ham or jam) and oatmeal. Drinks include coffee, fruit juices, and herbal teas. Regional variations may include heavier soups in the cold highlands and green or ripe plantain (platano) in the jungle regions of Peru. Lunch, or almuerzo, is the main meal of the day in Peru. It can be a lengthy process, often involving a starter and a main course followed by a dessert (and then followed, in some parts of the country, by a siesta). Lunch dictates business hours throughout Peru, with many businesses shutting at around midday before reopening at about 3:00 pm. Lunch itself is normally served between midday and 1:00 pm. Lunch is a good time for travelers to sample Peruvian food at very reasonable prices. Restaurants both large and small serve lunchtime menús that include a starter and a choice of the main course for a set price (typically ranging from S/.5 to S/.10 nuevos soles, more in upscale or touristy areas). Unless you are traveling on an incredibly tight budget, it’s always worth paying a little more for a menú in order to get something reasonably satisfying (the difference between a S/.5 and S/.10 menú can be huge). Lunch is also the time to eat ceviche, which is traditionally not consumed later in the day. At approximately 5.30 pm, some Peruvians eat a quick snack or meal known as lonche (from the English word “lunch”). This is equivalent to la merienda in Spain or afternoon tea in England but isn’t quite as ingrained in Peruvian daily life as its foreign counterparts. Lonche serves a stopgap snack between almuerzo and cena. It may involve bread with butter, ham, cheese or jam eaten with a cup of coffee or tea (much like breakfast). Sandwiches and other savory snacks such as juanes, empanadas, and tamales are also prime candidates for a quick lonche, while sweet-toothed Peruvians might go for a slice of cake or arroz con leche. Peruvians normally sit down to a light supper between 8.00 pm and 10.00 pm, sometimes later depending on when family members return from work (the extended lunch break means that many Peruvians end up working until 8 or 9 pm). In many households, cena is almost a repeat of breakfast, with bread accompanied by cheese, ham, eggs, or olives. Regional differences also come into play; in jungle regions, for example, a juane can make for a more than adequate dinner, while a highland supper may be a slightly heavier potato- or corn-based meal. Some families eat leftovers from lunch, either served cold or warmed up. Freshly prepared dishes are also common but are normally smaller and lighter than their lunchtime equivalents. Dinner at a restaurant is a far more sophisticated affair (unless it's fast food), often more so than lunch. 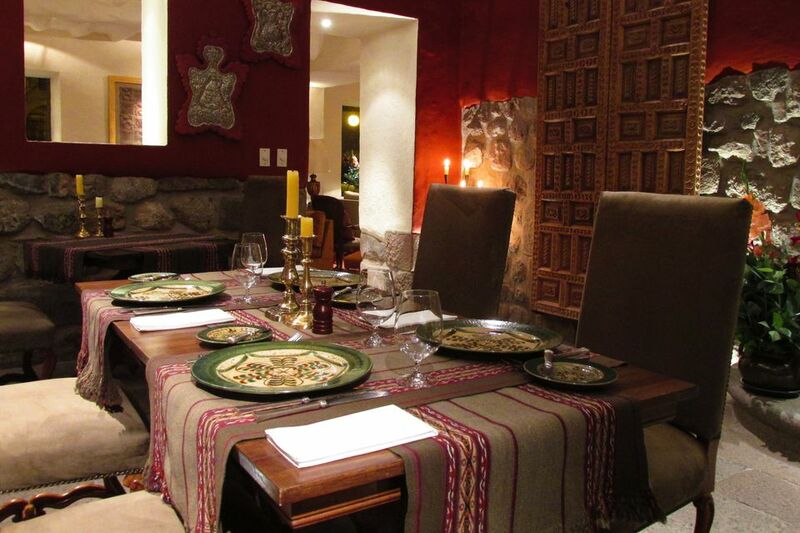 When Peruvians dine out for dinner, it's often for a special occasion (or a date) and, as such, differs greatly from the standard cena eaten at home.